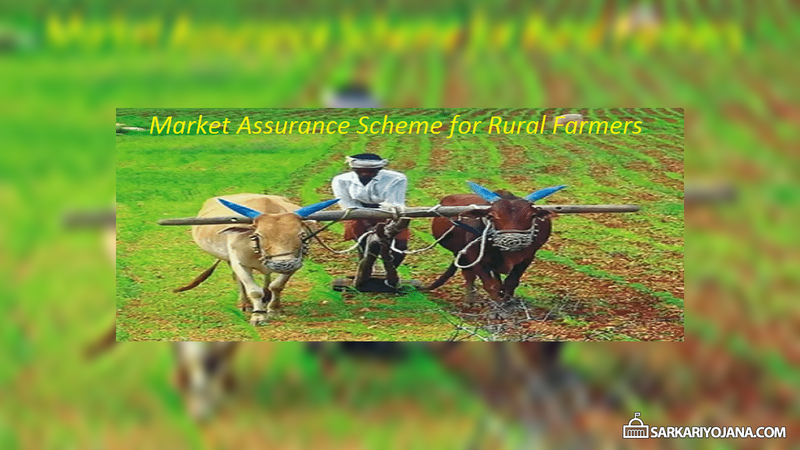 Central government is going to launch Market Assurance Scheme for farmers. Subsequently, govt. 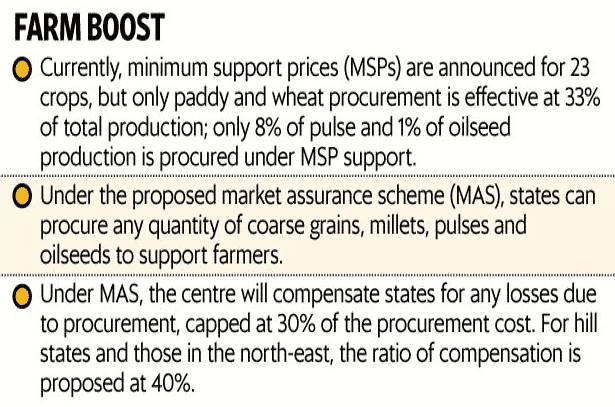 will provide price support to prevent distress sales of crops below the Minimum Support Price (MSP). Under this sarkari yojana, the state govt. will get the authority to procure all crops whose MSP are announced. Central govt. will provide compensation of 30% to the state govt. for their losses in the procurement of crops. This scheme will not allow the state govt. to procure rice and wheat which is already procured by the Central govt. for Public Distribution System (PDS). Moreover, the state govt. will have the responsibility to dispose off their procured crops. Central govt. is planning to launch New Crop Procurement Scheme 2018 as soon as possible. Latest Update – PM AASHA – Pradhan Mantri Annadata Aay Sanrakshan Abhiyan Launched By Central Government. This price support scheme will help the rural farmers to get at-least their MSP for crops in case the prices of the commodity falls. Furthermore, this scheme will strengthen the procurement process of crops and will further ensure that farmers are not going to suffer due to market inefficiencies. State govt. are free to procure all crops (excluding wheat and rice) when the wholesale prices falls below MSP. This price support scheme will benefit rural farmers and prevent their distress sales. Subsequently, state govt. will have the authority to decide which crop they should procure and in which quantities. This scheme will also tackle the problems of improper functioning of agricultural markets. Moreover, state govt. will have the ownership rights to use these crops wherever they want. They can use it in mid day meals to provide nutritious food to the children ore even can sell these crops in an open market. In addition to this, Central govt. will compensate states up to 30% for their procurement losses. Furthermore, this scheme will improve the agricultural marketing system to provide MSP to the farmers. Central govt. proposes this scheme after the record production of various crops (cereals and pulses) in 2016-17 which has led to the trashing of the wholesale prices below MSP. Moreover, lack of competition, un-ordered price discovery and lack of cartels (organizations to limit competition) are major causes of price distortion. So the farmers are helpless in selling their crops at great losses. Accordingly, farmers demands for their sustainable crop prices and loan waivers. Some states like Uttar Pradesh, Maharashtra, Punjab and Karnataka has started Farm Loan waivers and Madhya Pradesh has launched its own price support scheme (Bhavantar Bhugtan) to help farmers. However, this scheme of Central government will help all the farmers to a great extent across the country. A very good scheme which can develop the socioeconomic conditions of the farmer and at the same time govt can earn revenue but evrything depend upn proper planning and management. It requires continuous monitoring from the time of collection of paddy till its marketing / selling with a group of people free from corrupt mind and with an aim to serve the nation which is the biggest challange for the Nation. The procedure of selection of working group for this section of PDS need some changes so that corruption can not crept to make heavy lose in collection and distribution.